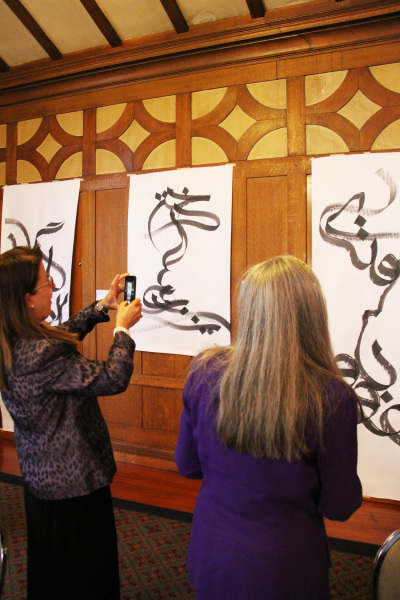 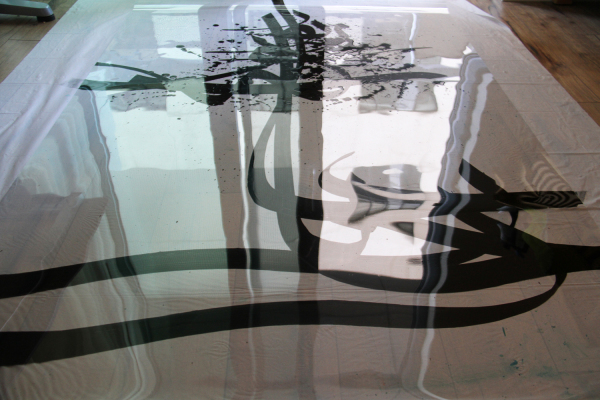 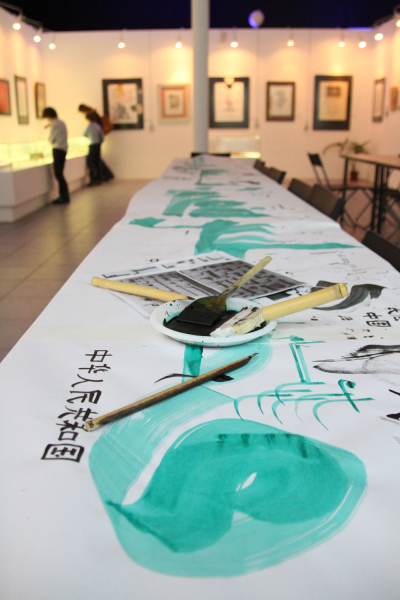 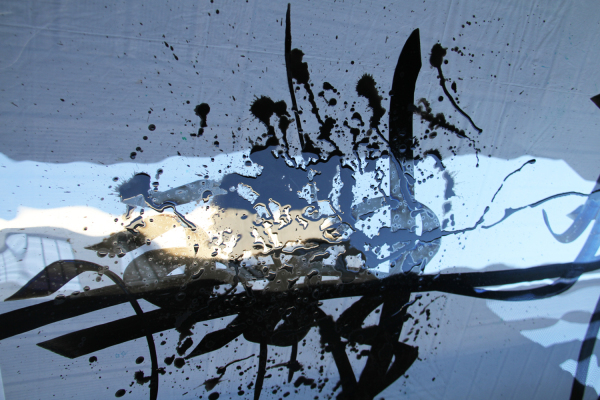 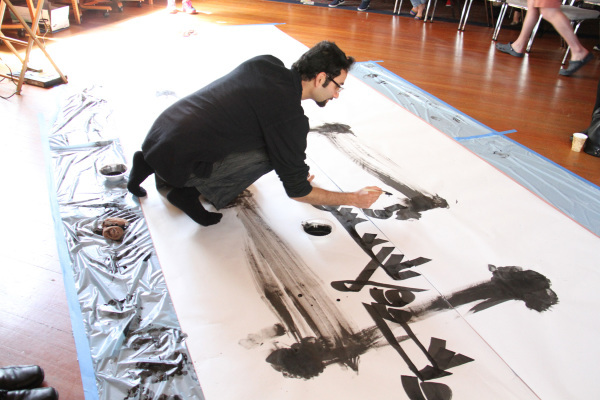 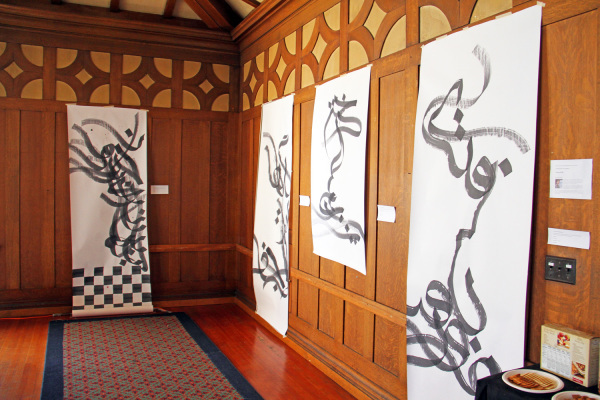 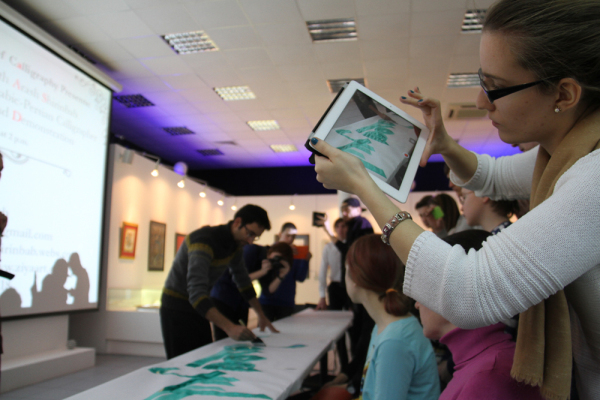 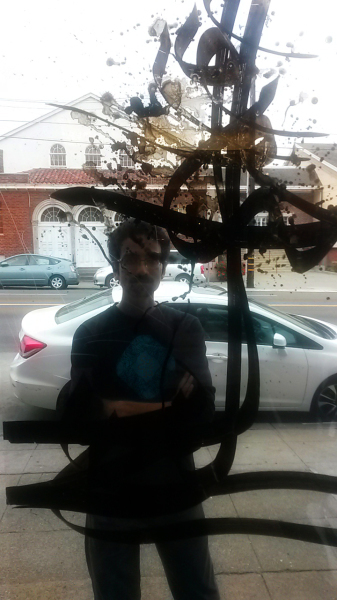 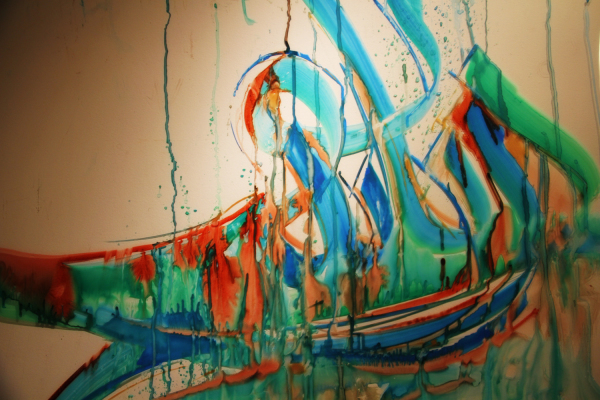 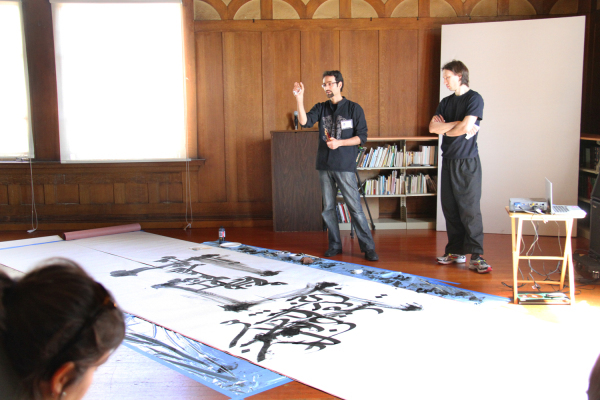 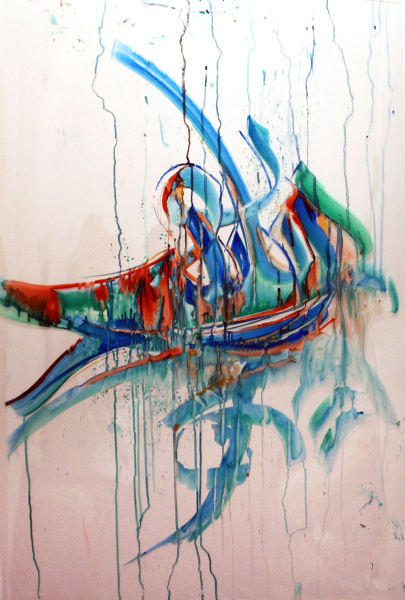 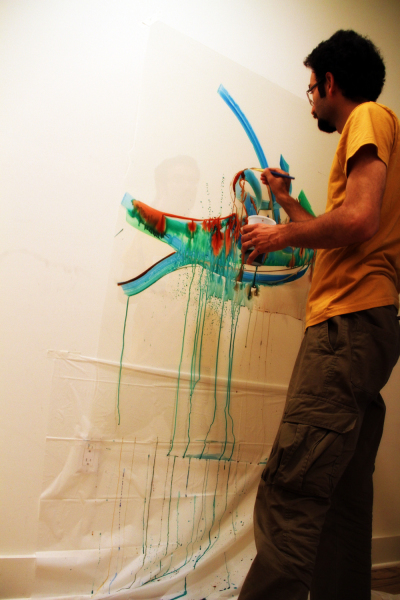 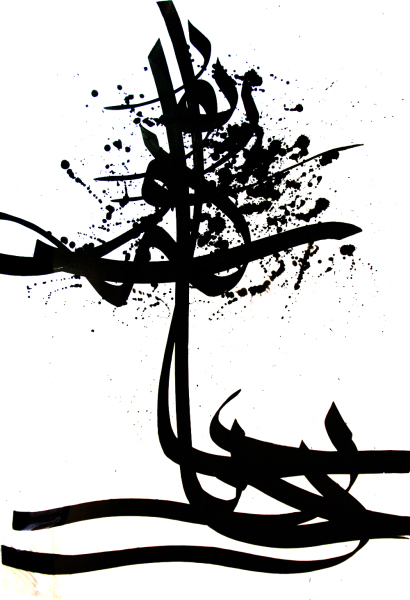 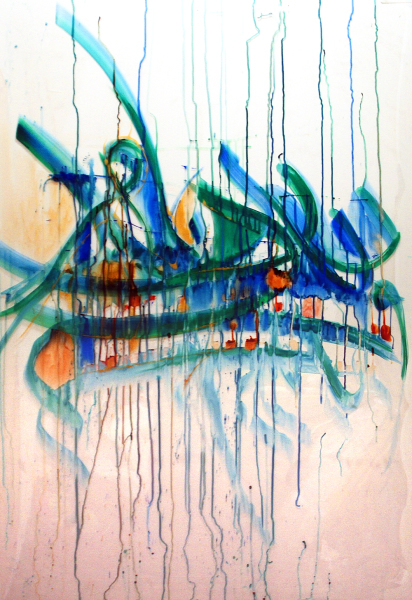 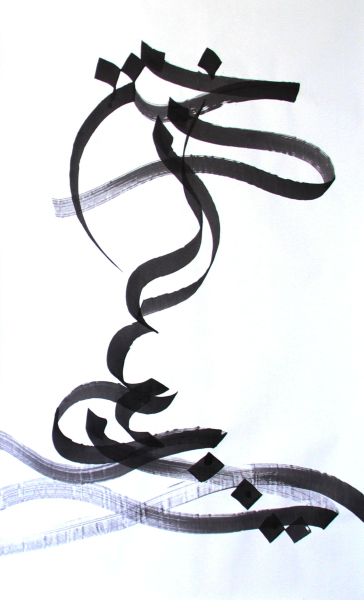 The image is displaying an example of how a large format site-specific calligraphy work would look like in a gallery space. 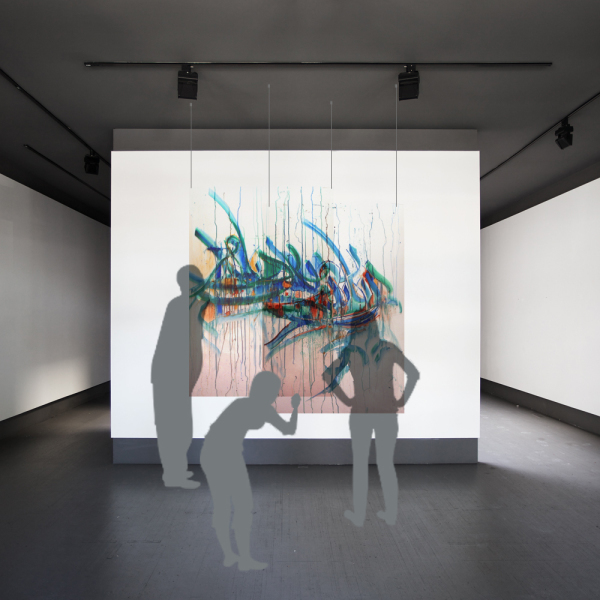 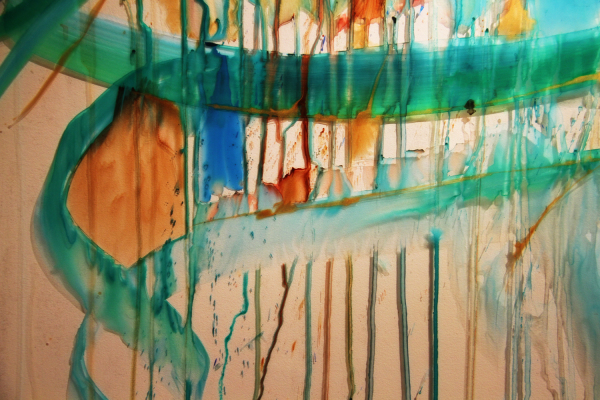 Ink on Transparent Archival Film, 5'x3.5' Aqua I and Aqua II are two complementary pieces that are done on transparent archival film and are meant to be installed in front of each other with a distance from each other and the wall so that the visitors can walk around them and view them from front and back and feel the dance of light and reflections through the pieces. 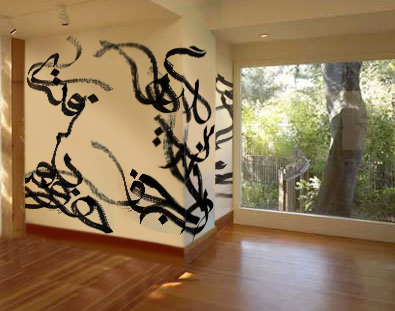 Ink on Acetate Archival Film; 40”x5’ Calligraphic interpretation of a poem by a contemporary Persian poet, Sohrab Sepehri which reads: “Blessed are plants that are in love with light”.